I know its only November, but I did it – I mentioned the ‘C’ word. Christmas is coming whether we like it or not and preparing a family Christmas with 4 kids is no small undertaking. In fact it has become rather akin to a planning military exercise with seemingly endless research and coordination. This is unless I want to be frantically wrapping presents on Christmas Eve whilst clutching a glass of wine and praying to whomever will listen at 3am!! I have tried that option, it was no fun whatsoever and made me want to strangle my husband who was not helping. So now, to avoid divorce, I generally start preparing for Christmas in November ;). I know that sounds bonkers, but it actually takes the stress out. No last-minute panic when looking for the latest toy fad and no concerns about missing the last postage date – well in theory!! 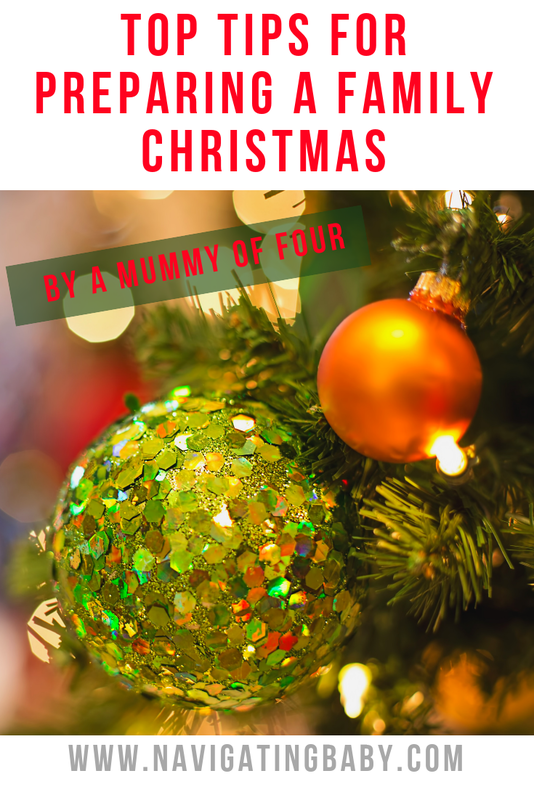 Preparing for Christmas can be stressful, but I hope my tips below will help busy mummies (and daddies) get everything ready without losing their minds. Let’s face it we want to have a good time too so lets try to take the stress out. If you can spirit away some of the toys that are no longer played with then do so – make some space, but don’t get caught by the littles! Do the things you enjoy; I love to bake and cook so I spend time on that. I hate putting up Christmas cards on those display strings so I don’t! Outsource whatever you can. I mean I draw the line at ready prepared roast potatoes, but Marks and Spencer’s are very heavily involved in our Christmas dinner. That way I can spend my time enjoying being with the family and having a few glasses of bubbly. This is not necessarily the cheapest option, but it’s my present to myself! Perhaps think about doing a secret Santa with the grown ups in the family… We all contribute a set amount for each person and then each write a list. This means we only have one grown up each to buy for which takes out a lot of head scratching over what to get. If any relatives offer to bring something or help take the help!